Since the early 1990s and the end of the Cold War, the implications of China's rising power have come to dominate the security agenda of the Asia-Pacific region. This book is the first to comprehensively chart the development of Southeast Asia’s relations with the People’s Republic of China (PRC) from 1949 to 2010, detailing each of the eleven countries’ ties to the PRC and showing how strategic concerns associated with China's regional posture have been a significant factor in shaping their foreign and defence policies. In addition to assessing bilateral ties, the book also examines the institutionalization of relations between the Association of Southeast Asian Nations (ASEAN) and China. The first part of the book covers the period 1949-2010: it examines Southeast Asian responses to the PRC in the context of the ideological and geopolitical rivalry of the Cold War; Southeast Asian countries’ policies towards the PRC in first decade of the post-Cold War era; and deepening ties between the ASEAN states and the PRC in the first decade of the twenty-first century. Part Two analyses the evolving relationships between the countries of mainland Southeast Asia - Vietnam, Thailand, Myanmar, Laos and Cambodia - and China. Part Three reviews ties between the states of maritime Southeast Asia - Indonesia, Malaysia, Singapore, the Philippines, Brunei and East Timor - and the PRC. Whilst the primary focus of the book is the security dimension of Southeast Asia-China relations, it also takes full account of political relations and the burgeoning economic ties between the two sides. This book is a timely contribution to the literature on the fast changing geopolitics of the Asia-Pacific region. 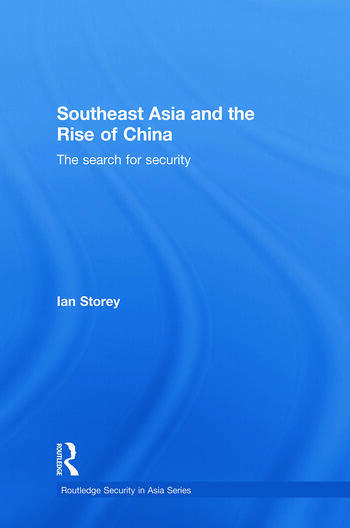 Ian Storey is a Fellow at the Institute of Southeast Asian Studies (ISEAS), Singapore, and editor of Contemporary Southeast Asia: A Journal of International and Strategic Affairs. He co-edited The China Threat: Perceptions, Myths and Reality (also published by Routledge).